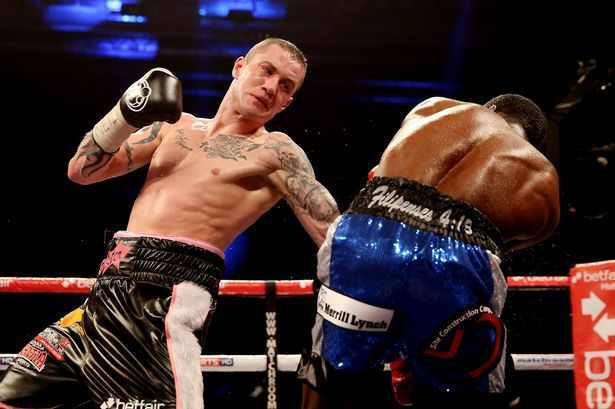 The Ricky Burns vs Raymundo Beltran is for the WBO lightweight title held on Scottish Exhibition Centre, Glasgow, Scotland, United Kingdom last September 7, 2013. If you could see the video replay and highlights of Burns vs Beltran, it was a great fight where the two pugilists aiming to covet the WBO lightweight crown. They needed a knockout for each other but the results of the fight won't favored either of the two. The result of the fight was a Split Draw after 12 rounds. It was the 3rd time for the British Champ Ricky Burns to defend his WBO Lightweight belt and for the Mexican Raymundo Beltran, he has a great chance coming into this fight. The fight was a Split Draw, judges scorecards were judge: Carlos Ortiz Jr 115-112 | judge: Richard James Davies 114-114 | judge: Andre Van Grootenbruel according to boxrec.com. Burns remained at 36 wins while Beltran remained at 26 wins. It was a toe to toe battle and engaging each other chances spark the crowd cheering for their Champ Burns at United Kingdom. Ricky Burns was burning into fire of punches while Raymundo Beltran make a cool and elegant display of defense and offense. Thanks for watching and I hope you enjoy the Ricky Burns vs Raymundo Beltran Video Replay Highlights.